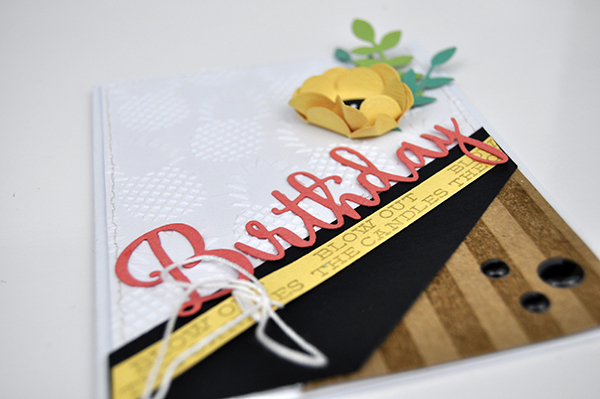 In this final week of June's "Jen's Cards," I'm sharing this embossed and stamped "Birthday" card. I wanted to show you how easy it is to mix and match embossing folders, dies, stamps, and more to create a truly custom look. Be sure to check out all of this month's card images on each Wednesday of the month. 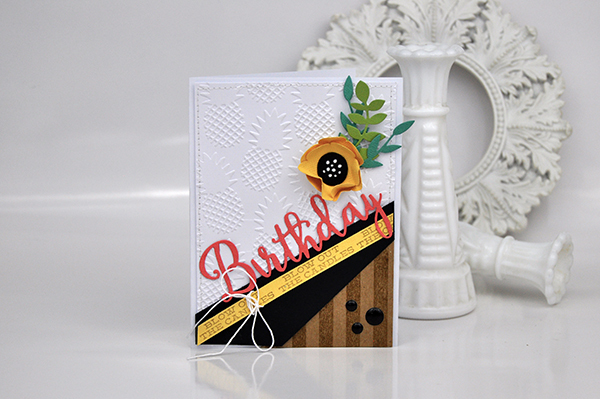 To create this card, I used a pineapple embossing folder. I can't get over how crisp the image is. You just want to touch it! I added a layered flower. I rarely use just the elements in one die set. I like to combine petals, flower centers, and leaves to make something special every time. I added the "Birthday" die cut and then stamped the words "BLOW OUT THE CANDLES" multiple times on a strip of yellow cardstock to create a border. 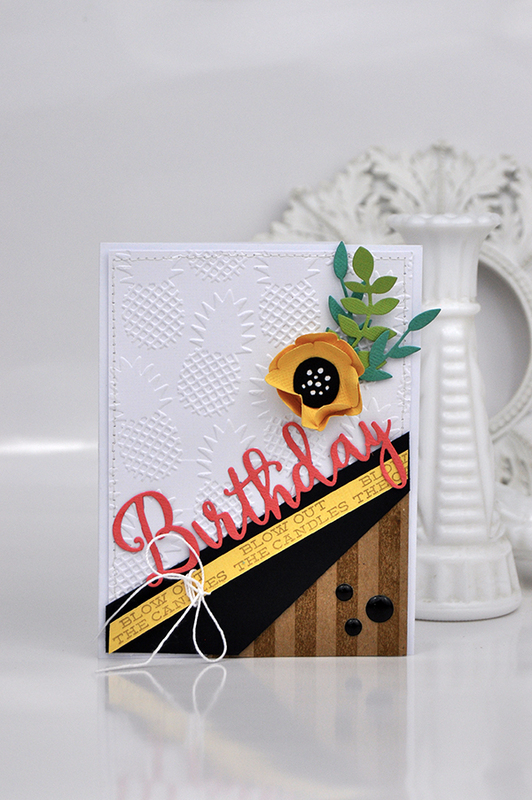 The bottom corner of the card is the striped background stamp to add some "earthy-ness" to the card. Here's a closer look at the card. Be sure to pin your favorite images for inspiration later!